Remote Control Dimmers - Single or Multi Zone A single zone dimmer can control many lights at the same time, but all of them are adjusted together. 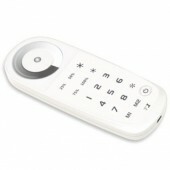 To be able to control different sets of lights separately with a single handset, choose a multi-zone dimmer. 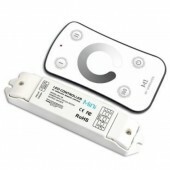 These dimmers are suitable for low voltage DC circuits. The strong radio frequency signal gives a range of up to 50M with no need for line of sight.